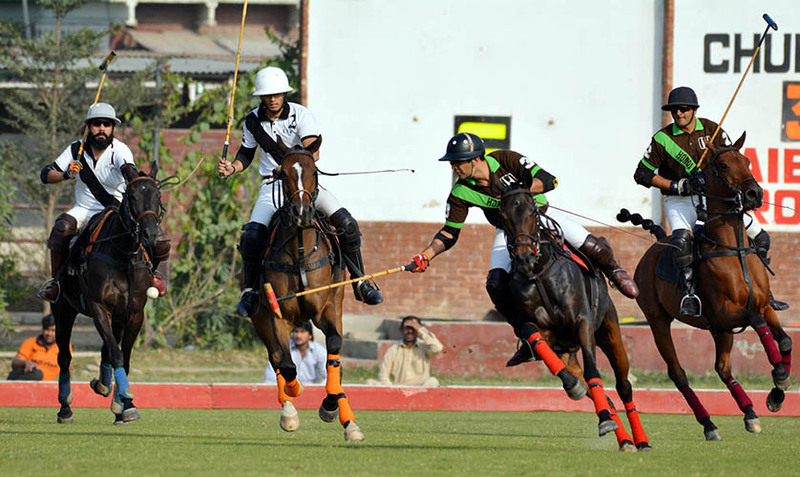 LPC LAHORE: Honda Chenab and Guard Group carved out contrastive victories in the Shoe Planet Polo Cup 2017 opening matches played here at the Lahore Polo Club ground on Tuesday. 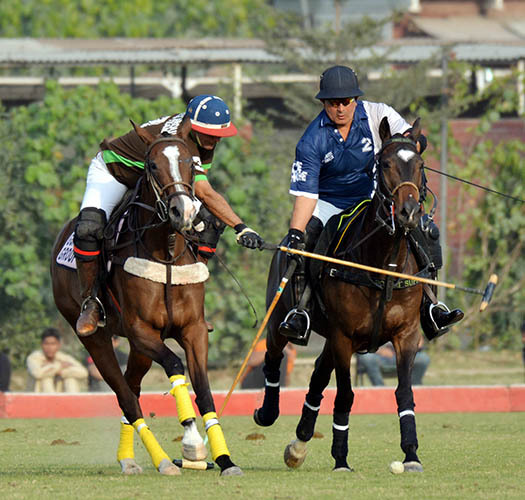 Honda Chenab proved too hot for Elan as they outclassed their opponents by 11-6 in the first match of the day. 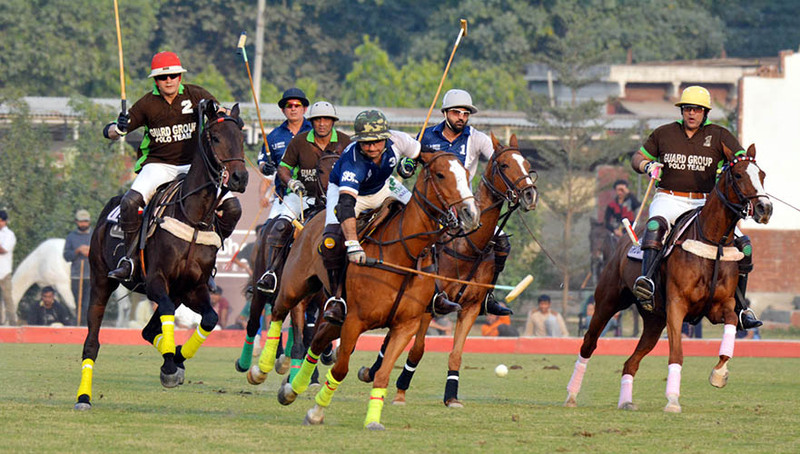 A quality polo was on offer during the match between the two best teams. Elan stamped their authority during the first two halves of the match but Honda Chenab bounced back in style and fully dominated the next two halves to register an impressive victory. Bilal Haye was in sublime form as he he slammed in superb five goals for the winning side while Ahmed Ali Tiwana scored a quartet and Ghulam Mustafa Monnoo a brave. From the losing the side, Bilal Hayat Noon and Saqib Khan Khakwani hammered a hat-trick each. The second encounter of the day proved to be a thrilling one and in the end, it was half goal handicap advantage, which helped Guard Group beat Unites Snacks by 61/2-6. Guard Group hammered a hat-trick in the first chukker to take a healthy lead but United Snacks bounced back in style during the second and third chukker to take the lead. 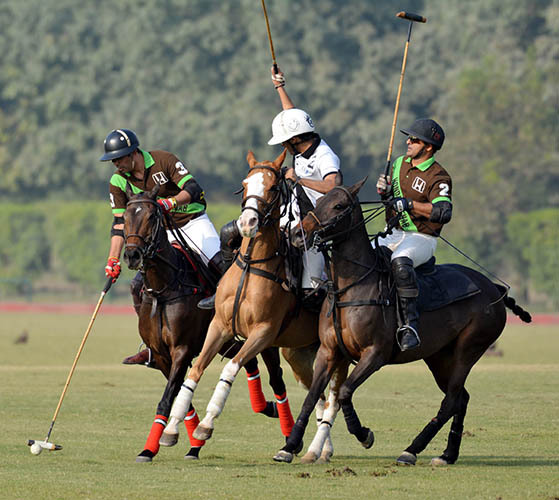 But the fourth and last chukker was dominated by Guard Group, which helped them win the match by a half goal handicap advantage. Ahmed Nawaz Tiwana pumped in five goals for the winning side while Taimur Ali Malik struck the match winner. From the losing side, Hissam Ali Hyder struck all the six goals. On Wednesday, Dawood Group, Black Horse Paints/Artema Medical and Sakuf will play against each other under American system at 1:30pm while Diamond Paints will take on Newage in the second match of the day at 3:00 pm.